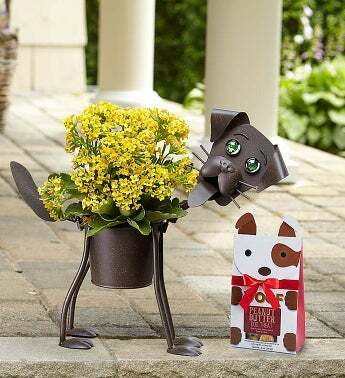 Add purr-sonality to their garden with a gift that’s doggone delightful. Whether they’re a dog lover or cat lover, these inventive planters bring whimsical style to any outdoor space or indoor décor. Ready to create smiles all year round, these four-legged friends, made with high quality metal, arrive with a mini tropical yellow kalanchoe plant to create an inventive surprise that’s best in show.